Red Sonja Remake on the way! Remember this ? Yeah I do too. 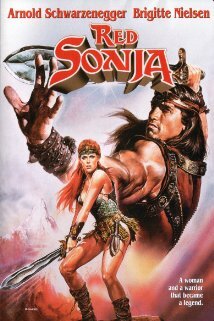 this is Red Sonja staring Bridget Nielsen its basically Conan with a woman. Red Sonja will be receiving the remake treatment.This was almost redone with Robert Rodriguez and Rose McGowan. Lets hope the next one is better. This entry was posted in Rumors and tagged bridget nelson red sonja, red sonja, red sonja 2015 redo, red sonja hot, red sonja remake, red sonja rose mcgowan, remakes. Bookmark the permalink.